How do I view the full schedule instead of just my own? As long as your manager has enabled it, you can see the full schedule. Go to the Schedule page and click the Full Schedule tab near the top left. Go to the Shifts tab then tap the Full schedule tab. 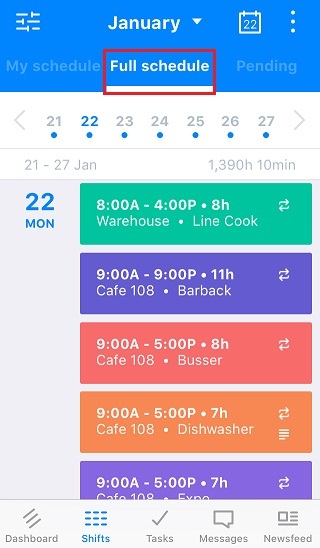 This will show your coworkers' shifts as well as your own.